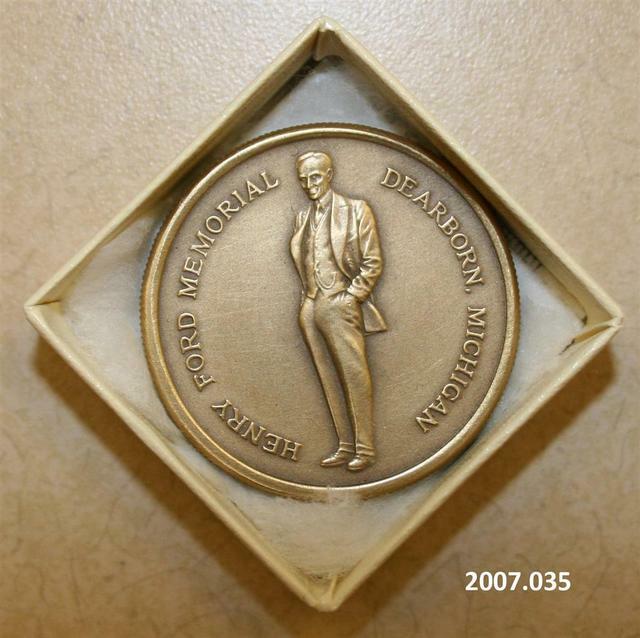 Obverse: Marshall Fredericks' portrait of Henry Ford. 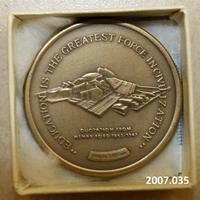 Text "Henry Ford Memorial Dearborn Michigan". 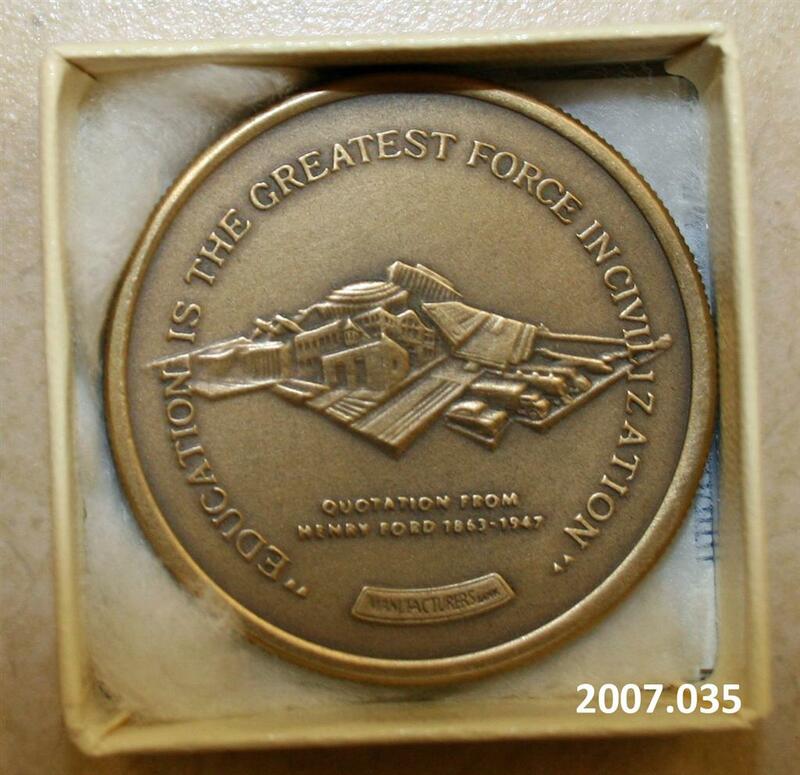 Reverse: Ford Empire by Marshall Fredericks with text " 'Education is the Greatest Force in Civilization, Quotation from Henry Ford 1863-1947"
Fredericks, Marshall M., 1908-1998, “Henry Ford Medal, [Bronze],” Marshall M. Fredericks Sculpture Museum, accessed April 21, 2019, http://omeka.svsu.edu/items/show/7526.